Christian: Why did Allah send the Quran? Muslim: Allah SWT sent new revelation because the earlier books were corrupted and changed. Christian: Then why did Allah say in the Qquran that the Christians should judge by their books (Sura 5:47) if it was no longer dependable at the time of the Quran. Also Torah, Zabur & Injeel are mentioned over 40 times in the Quran. But not a single time out of these 40 times does the Quran say that Torah, Zabur and Injeel are corrupted. If they were corrupted, dont you think Allah would have made it very clear every time he mentioned those books by name? Muslim: The earlier books, Torah, Zabur, Injeel were not yet corrupted when the Quran was sent. Only later on they were changed by you people. Christian: Wait. You just said that the Quran was sent because of corruption of earlier scriptures. Now you say they were not yet corrupted? So if they were not yet corrupted, then why did Allah send the Quran? Christian: Since Allah knew that his own words would be corrupted, did he have the power to protect his words? Why didn’t he thwart the plans of men? And are you saying that the words of the men who ‘corrupted” the bible has been preserved for thousands of years till today but Allah’s own words are gone? Christian: Hello? Are you still there? Again, can God’s Word be corrupted? No. Yahweh has kept His Word. 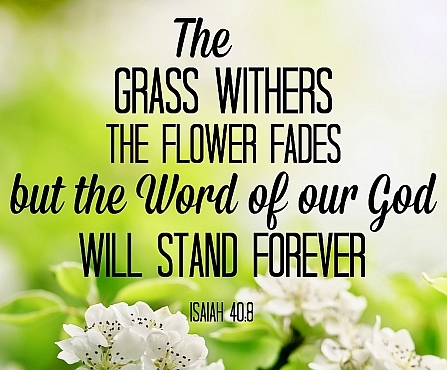 The promises He has given us shows that the Word of God cannot be corrupted by human hands. Anyone who claims the scriptures are corrupted believes in a weak, powerless god who was unable to keep and preserve His own word to mankind. This is a god who could not even keep his own promise that his Word would be eternal; this is a god that is weaker than human beings who managed to outsmart him and and cause him to lose his words. Do you believe in a god who has no record of his words from the time of creation up to the 7th century AD? If you still claim that the scriptures are corrupted, you are saying that god failed to preserve his words but the corrupted words of weak human beings have survived and have been preserved for thousands of years.